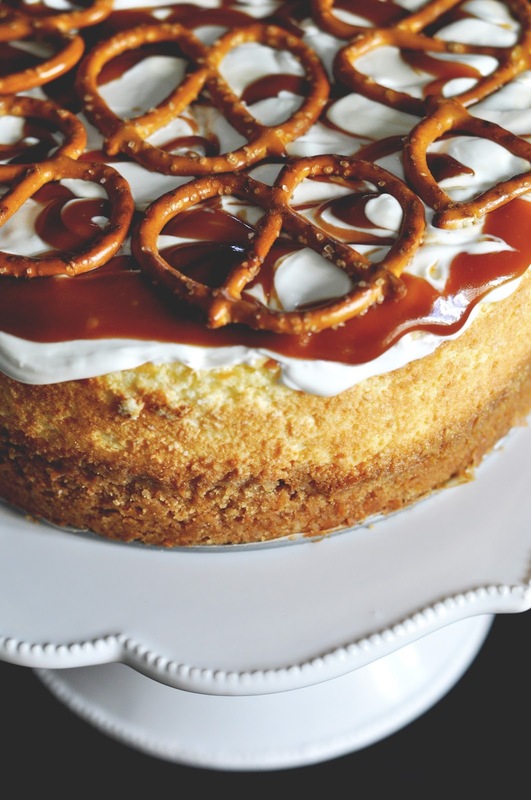 When you make salted caramel for the first time and bake a cheesecake for the first time, it calls for a blog post, right? They say if you have sugar cravings you are going to have a baby girl. In that case, I should have both girl and a boy as my cravings switch between sweet and savory like the London weather. Few days back while browsing through Instagram, I came across salted caramel cheesecake. As you might be aware, Instagram has this inexpiable power over you when it comes to food. I knew I wanted some salted caramel cheesecake pronto! So my recipe search led to this particular one by Kitchy Kitchen. 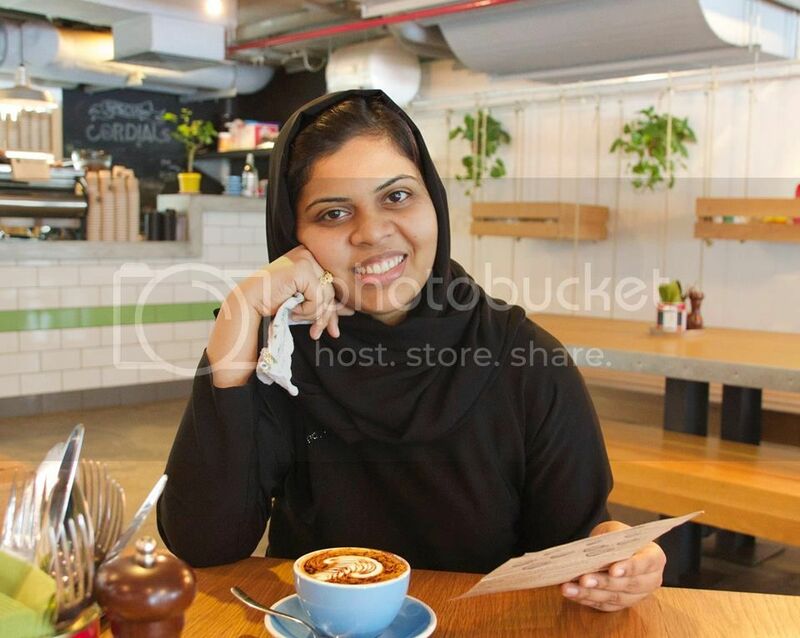 Aisha and I watched the video together that night and next day while she was at school, I was at the nearby Spinneys looking for the ingredients. Since we had plans to invite J's cousin over last Friday, I thought I will bake the cheesecake by Thursday and keep. I will have my cravings sorted and my guest will have something different for dessert. One stone, two birds. We clever Malayalees! Unlike the red velvet cake I baked couple of weekends before, this time I was better prepared. Dinner was done and I had my mise en place ready. Once the cheesecake was in the oven I prepared the salted caramel. Though everything went as planned and looked good the ultimate test is always the taste test. 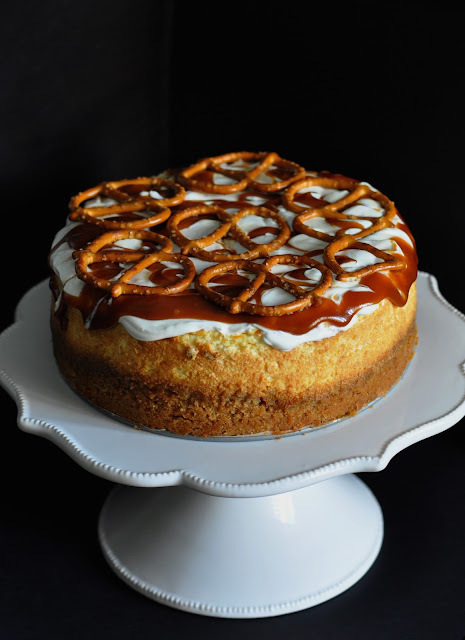 So on Friday while topping the cheesecake with salted caramel (and sour cream), I realized that the caramel was a bit too thick and found it difficult to manipulate it while decorating. I should have taken it off the stove a bit earlier. Then while cutting into the cake, I realized that the crust was over baked and had become biscuitish - a very tasty one though. I was really looking forward to tasting the crust as I had nibbled on it while pressing it down on the pan and really loved the contrast of sweet and salty - the crust has pretzels in it! I wouldn't say the recipe had issues. Our ovens behave differently and with practice we learn where to make corrections - mine is a small convection oven compared to a regular cooking range. So next time I bake this cheesecake, I will take it out maybe ten minutes earlier. It is a really simple cheesecake and quite easy to put together. I think I would top it with some berries or a thin layer of salted caramel next time and call it a day. 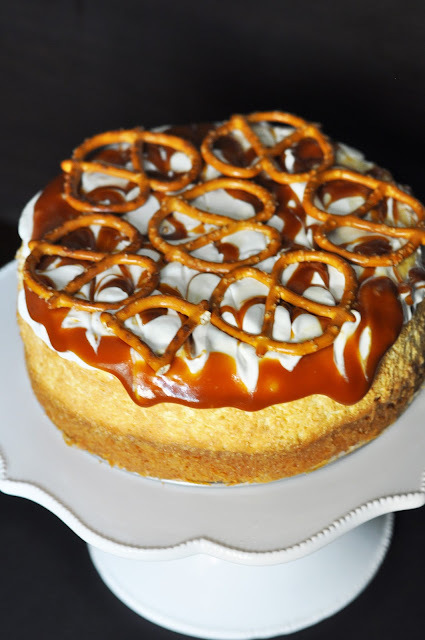 For Salted Caramel Pretzel New York Cheesecake recipe video, please visit Kitchy Kitchen's You Tube channel. For Salted Caramel Pretzel New York Cheesecake recipe, please visit Kitchy Kitchen. I have not got yet to baking those brownies and now you tempting me with this! :( Haven't baked anything except a chocolate cake for a gathering last week... Lovely cheesecake that one looks like! Woops! Sorry Rafee! <3 Your chocolate cake looked good.